DuFresne's Auto Service Announces Lending Services!!!!!! 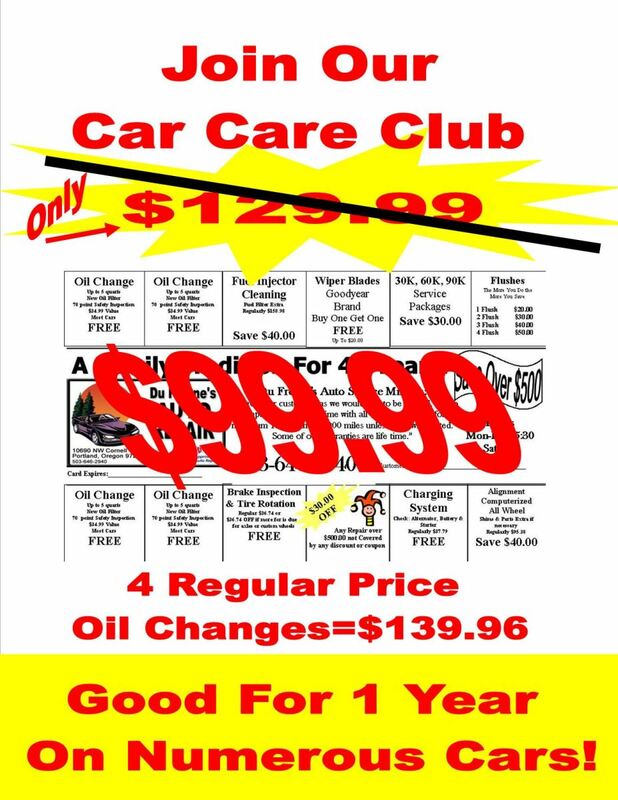 Get your oil changes Free with the Car Care Club Card. The Car Care Club Card is on Sale thru the month of May. $99.99 gets you over $500.00 in Free Services and Discounts. 4 FREE OIL CHANGES come with the Car Care Club Card. You would pay $139.96 thats a saving of $39.97 in just oil changes. And don't forget about the rest of the savings. 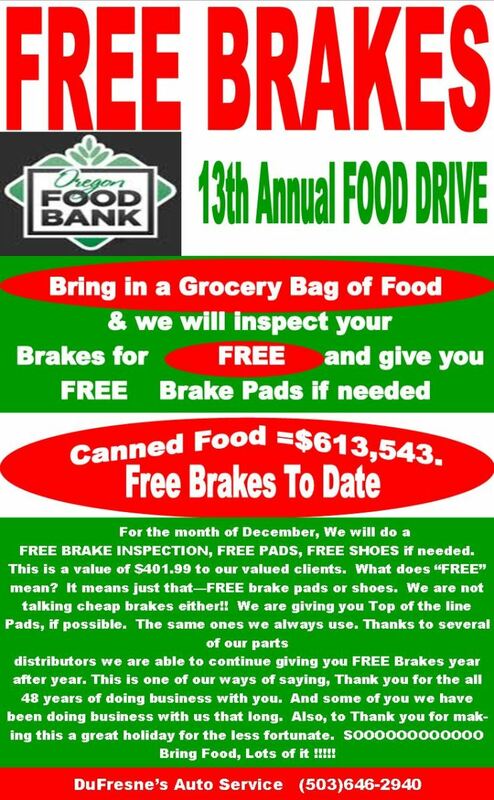 FREE Brake Inspection......Value $35.99 FREE Tire Rotation.....Value $22.00 FREE Charging System Check...Value $37.79 $40.00 OFF Fuel injection Cleaning $30.00 OFF A/C Evac and Recharge $30.00 OFF 30, 60, 90k Service Up to $100.00 OFF Flushes $30.00 OFF Jokers Wild $40.00 OFF Alignment You can use this on any car in the family. Or let your neighbor, favorite teacher or mail man use it. Hurry and get yours today. After May the price goes back up to $129.99 for another year.